More than 100 members attended our spring extended networking business breakfast at Milton Abbey School, hosted by the school’s head, Judith Fremont-Barnes. The event, which included members from the recently formed Sturminster Newton Chamber of Commerce, was one of our biggest breakfasts to date. Chris Spackman, chair of SturBiz (Sturminster Newton’s Chamber) gave an insightful talk on the importance of helping struggling town centres. He cited their plans for Sturminster which includes putting together an economic development strategy for the town to become a destination to draw in families. It was as a result of these plans that SturBiz evolved and now has 57 members. 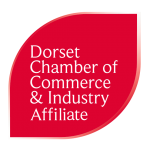 Steve Farnham, president of the Dorchester Chamber for business, said: “We were delighted to be able to welcome over 100 business representative from Dorchester and Sturminster Newton to the wonderful venue at Milton Abbey School. After a hearty breakfast, Tracey Hayden from our event sponsor LOCALiQ talked about the importance of the Dorset Echo, while Milton Abbey head, Judith Fremont-Barnes, revealed the role local business plays in helping Milton Abbey pupils reach their full potential. Dorchester Town Councillor, Alistair Chisholm spoke about the forthcoming Thomas Hardy Victorian Fair, highlighting the opportunities for local businesses to get involved. As part of our extended breakfast networking opportunities, members then took part in pre-booked one-to-one sessions – providing an ideal opportunity for local businesses to forge more links and collaborate. Our May breakfast takes place on Tuesday, 14th May 2019 at Carluccio’s in Brewery, Square, Dorchester and will be sponsored by Zenna Wellbeing in the Workplace. Rachel Cole and Kitz Gulliford from Dorset County Hospital Charity will be talking about their work.